New Horizons lifted off from Launch Complex 41 at Cape Canaveral Air Force Station, Florida, on a Lockheed Martin Atlas V-551 launch vehicle on 19 January, 2006. The Atlas V lifted off with 10,906,194 newtons of force; a newton, of course, being the unit of force needed to accelerate one kilogram of mass to a speed of one metre per second in one second. After it separated from its third stage, a STAR-48 solid-fuel booster, New Horizons sped from Earth at about 16 kilometres per second, or 36,000 miles per hour — making it the fastest spacecraft ever launched. Reaching lunar orbit distance (about 384,000 kilometres or 238,600 miles from Earth) approximately nine hours after launch. In comparison, the Apollo missions to the Moon took roughly three days, although it had humans on board. The podule then reached the Jupiter system in 13 months, during which time New Horizons conducted system and instrument checkouts, instrument calibrations, trajectory correction maneuvers, and rehearsals for the Jupiter science encounter. While New Horizons was sling-shotting around the gas giant, the Mission Operations Centre was giving its systems a good and thorough testing for the flyby to come. "The Mission Operations Centre is a single facility with a separate backup facility in a different location," Griffith told us, and as New Horizons was flying much closer to Jupiter than even Cassini managed in 2000, its controllers had a unique opportunity to flight-test its instruments and pointing capabilities on an exciting set of scientific targets — Jupiter and its moons. 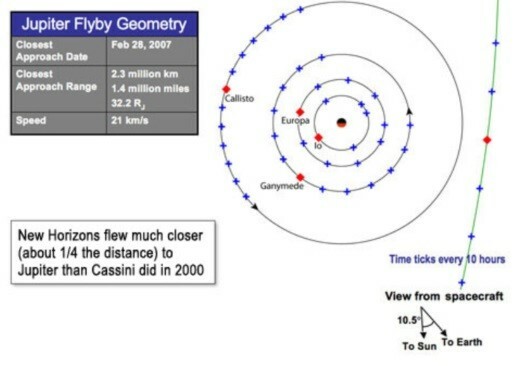 These explorations were collected in a special issue of the journal Science, which encouraged readers to "sit back, enjoy these views, and think of New Horizons as it races along the solar system's back roads to an even stranger destination" back in 2007, when tomorrow's flyby was still an almost ineffable concept. It wasn't until 2013 that the Missions Operations Centre converged on the Johns Hopkins APL for a test, both of themselves and the spacecraft, which would replicate the closest nine days of flight toward and past Pluto — exactly as those days are unfolding now. 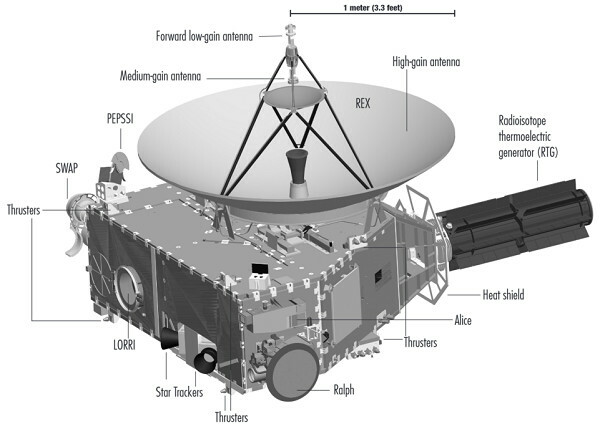 Operators had programmed New Horizons’ onboard computers to "think" the spacecraft was approaching and passing Pluto, to the point it executed each command and movement of the actual encounter. Gathered at APL’s campus in Laurel, Maryland, mission navigation and operations teams guided spacecraft activity in real time; the science team examined simulated data in the same way they have been downloading, analysing and distributing the real stuff now that Pluto and its moons are slowly revealing their secrets to New Horizons' seven science instruments.